The Crown laid out its theory Friday for Dennis Oland’s puzzling behaviour when he went to visit his father on the night he was killed, which included three trips, sitting in his car for 10 minutes, zig-zagging across the street and making an illegal left turn. 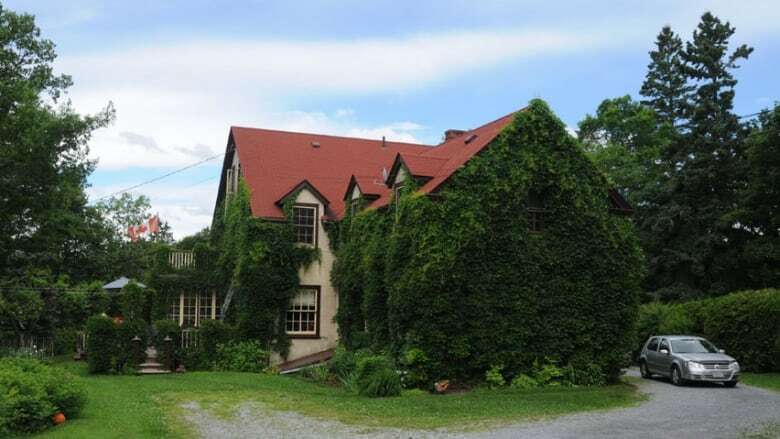 Jill Knee alleged Dennis Oland was nervous about facing Richard Oland because he was at risk of losing the ancestral family home again, just two years after the multimillionaire had lent him more than $500,000 to ensure he kept the house during a divorce from his first wife. And she posited during her aggressive cross-examination that he went back the third time to bludgeon his father to death. He denied he was desperate, despite his mounting debt, maxed-out credit and shrinking income. Oland, 51, is being retried for second-degree murder. 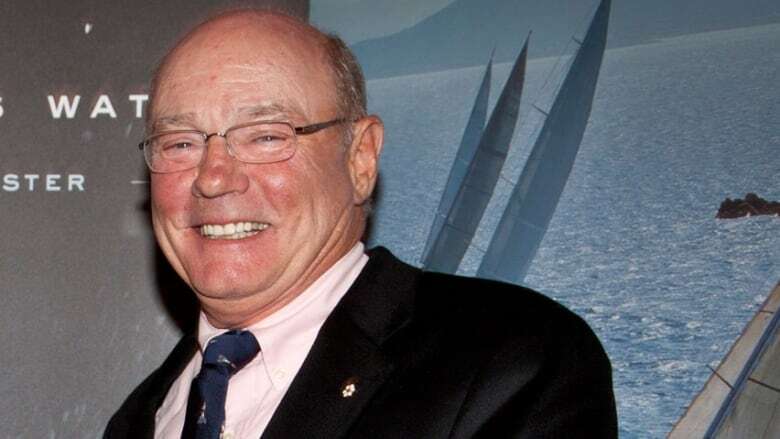 He is the last known person to have seen his father alive when he visited him at his Saint John office that night, between around 5:35 p.m. and 6:30 p.m. The body of the 69-year-old was found in the office the next morning with 45 sharp- and blunt-force injuries to his head, neck and hands. No weapon was ever found and the only item that went missing was his cellphone. A jury found Oland guilty in 2015, but the New Brunswick Court of Appeal overturned his conviction in 2016, citing an error in the trial judge’s instructions to the jury. His retrial by judge alone in Saint John’s Court of Queen’s Bench is scheduled to resume on Tuesday at 9:30 a.m.
On Friday, Knee continued to push the Crown’s alleged money motive. She suggested the reason Oland climbed the stairs to his father’s second-floor foyer but then turned around and left without seeing him on the initial trip that night was not because he had forgotten some genealogy documents he wanted to share, as he had told police. “No I was not,” Oland replied, maintaining he left to retrieve some family history information from his nearby office at CIBC Wood Gundy, where he was a financial adviser. Oland missed his June 2011 payment on his $163,000 line of credit from CIBC, which he had secured against the home, said Knee. This wasn’t known to his father, who wanted him to sign a mortgage and right of first refusal agreement with him, the courtroom heard. Oland was also three months behind in making monthly interest-only payments of $1,666.67 to his father on the money he has described as an advance on his inheritance. His latest payment had bounced on July 5, 2011 — the day before his visit, said Knee. In addition, he had to pay $3,833.51 on his over-limit Visa by July 5. Oland acknowledged he had missed his bank payment, but said it was an exaggeration to suggest he might lose the house his father grew up in, which had been in the Oland family for about 70 years. “You knew if you didn’t pay what you owed, the bank had a right to sell your house?” pressed Knee. Oland testified he was unaware his cheque to his father had been returned for insufficient funds at the time of the visit. But Knee pointed out he had asked his father’s secretary on June 28 to hold off on cashing the cheque until July 4 because his bank account was overdrawn. “After your father died, you stopped making these payments in November 2011?” asked Knee. Oland confirmed that was true. Knee noted when Oland left his father’s office at 52 Canterbury St. and came back the second time around 5:26 p.m., he sat in his car for about 10 minutes. Oland testified he visited with his father for about 45 minutes and they had a good discussion about genealogy, a shared interest. Knee suggested their conversation eventually turned to Oland’s financial situation. “It did not,” said Oland. “You have to agree with me you were living well beyond your means,” said Knee. His income during the first six months of 2011 — $34,124.02 — was the worst it had been in the previous four years, despite the fact the markets were improving. About $8,000 of that was an advance on his pay, said Knee, and almost all the rest would have gone to his ex-wife in his monthly $4,322 spousal and child support payments, she said. Although Oland had increased his Visa limit by $7,000 earlier in the year, he didn’t qualify for an increase in May, June or July. “It wasn’t sustainable, was it?” asked Knee. “You were mad that Richard Oland wasn’t going to bail you out this time,” suggested Knee. Oland said he was just confused because he had parked to the left during his first trip. Oland said it was simply a mistake because they’re both named Lisa. As he drove away, Oland turned left up a one-way street and then took a quick right into a gravel parking lot. He testified he realized he had forgotten an old camp logbook at his father’s office that he meant to take home to his uncle. Oland never mentioned his third trip to his father’s office during his statement to police on the day his body was discovered. It was only revealed during his testimony at his first trial. “Mr. Oland, you didn’t tell them about the third visit because that’s when you went back to kill your father,” said Knee. Oland testified he wished he had had a better relationship with his father. “There were times when it was troubled,” he said. Knee reviewed Oland’s July 7 statement to police, when he described his father as not being the easiest guy to get along with. He had high expectations, was controlling and could say hurtful things, Oland had said and confirmed in court. “He could be a jerk to me, yes,” he testified. Oland’s defence team expects to finish presenting its evidence on Tuesday morning. The lawyers declined to reveal which witnesses will be called to testify, if any. During the afternoon, the court will visit the crime scene. Justice Terrence Morrison announced Friday he will grant the rare application by the defence. 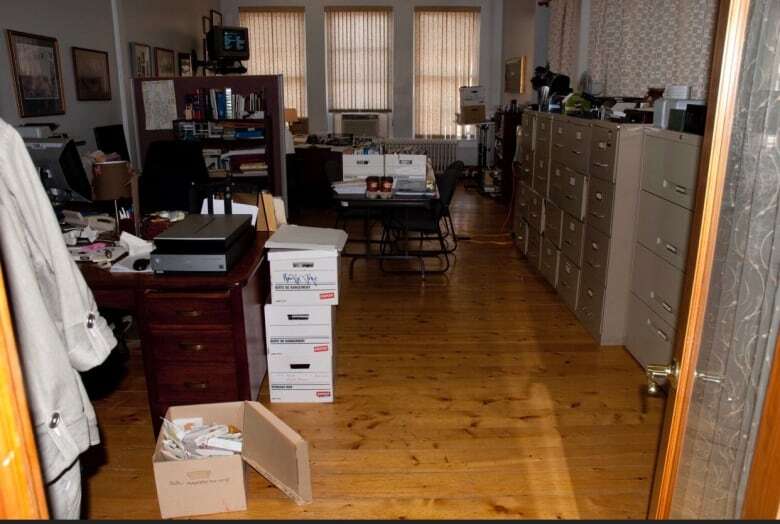 The defence contends photos of the crime scene don’t allow the court to “fully assess” the relative size of the office and second-floor foyer, or the steepness of the stairs, which it believes are relevant to the manner in which the crime scene was investigated and the potential that evidence was contaminated or destroyed. Although court proceedings are normally open to the public, no citizens or media representatives will be allowed to attend the viewing, Morrison ruled. The prevailing view is that a site visit is not part of the evidence, simply an aid to understanding the evidence, he said. In addition, the office is private property, he said. Oland and at least one lawyer from the Crown and defence teams must be present, said Morrison. There will also be at least one sheriff, he said. The defence has previously said the visit is expected to take less than an hour. Once the evidence portion of the trial is complete, the Crown and defence will take about a month to prepare their post-trial briefs before making oral closing arguments, the court has heard. The judge has said he suspects it will then take him at least a month to deliver his verdict. The retrial began on Nov. 21. Friday marked Day 43.